A STORY OF RE-INCARNATION & ASCENSION! Interesting … recently I have mentioned in articles: the Apostle Paul (who last incarnated as Charles Fillmore co-founder of the Unity Movement ) and Charles Fillmore … and, posted a message from Ascended Master Hilarion. They are the same soul! We can pretty well imagine how Paul looked by viewing the photos of Fillmore and the paintings of Hilarion. 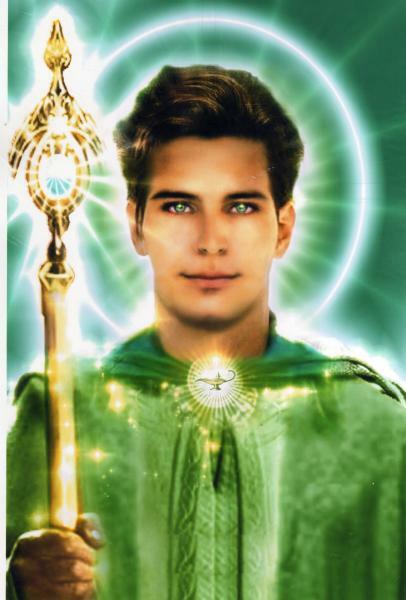 Ascended Masters can change their appearances; Hilarion must enjoy changing the color of his hair when he makes an appearance. The younger Hilarion looks more like I would imagine Paul looked, with his Aries-like personality–the warrior for first the Jewish religion, then the Christian. Charles Fillmore was born with one leg shorter than the other (Paul’s likely handicap) and healed himself through prayer and affirmation. Paul wrote several books/letters that are included in the Bible. At various periods during his life, Fillmore studied the Bible for an average of 22 hours daily. He knew to interpret the biblical names of individuals and places in accordance with their meaning in the ancient biblical languages. After his death, this information was compiled into what today is known as Unity’s Metaphysical Bible Dictionary. By using this method, the hidden wisdom within the Bible can be revealed. Fillmore (who knew himself to be a re-incarnation of Paul) liked to joke that he was balancing Paul’s karmic hesitancy toward allowing women a leadership role by working cooperatively with both of his wives. 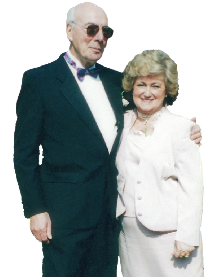 He and Myrtle (who healed herself of TB) laid the foundation for the Unity Movement. After Myrtle’s death, Fillmore and his second wife, Cora, collaborated on his later writings. Today, this giant soul continues to work, instructing Earth humans, as Ascended Master Hilarion. Filed under: Charles Fillmore, Hilarion |	Comments Off on A STORY OF RE-INCARNATION & ASCENSION! The times that are before you are filled with energies of new beginnings and this creates a feeling of anticipation while at the same time needing to bring completion to all outstanding issues, and there is a sense of waiting in a void between two worlds. It is a strange time for those of you who have been earnestly working to align with the higher aspects of your self, for you know the work is in completion yet you find that the way forward is hazy and undefined. This is because you are creating your world as you move through each day and you are not used to consciously creating. This feeling will pass and is temporary in nature, all that is required is a willingness to be fully present in each moment and integrating this new idea of yourself. Conscious creation is the next step in your spiritual evolution and requires more attention from you. Create a plan for what you wish to create and experience in your personal world. Make a list of what this might look like for you including feeling the emotions of having what you want, seeing yourselves having the experience with a sense of exhilaration and well being. Visualize every detail as much as you can as often as you can. Then when you feel it is complete, release it to the universe and know that it is manifesting for you. This method is best employed at the times of the new moon phases to begin your creation, working on visualizing and owning it until the full moon phase at which time you release it to the universe knowing it will become manifest in divine timing for you. You are becoming conscious creators in your everyday world. Some of you may need to maintain this practice until it becomes easier for you. Remember that nothing that is just started comes instantly but with greater practice and training, you will become proficient. Those of you who have pulled back in the last year are now ready to move forward once again. You are receiving your second wind, as they say, and will find yourselves beginning your work on self mastery with renewal and great enthusiasm. This time, the way forward will be much easier than ever before. You will be filled with a sense of higher purpose and many of you will come to a conscious realization of your part in the divine plan. You will also begin to see how perfect each experience you have endured on your journey to this point has helped to bring you to a feeling of confidence and personal sense of your own power. Every experience had its own gift to give you and now you can utilize what you have gained and learned with more understanding and proficiency for the benefit of yourselves and others around you. You have been enriched with a greater sense of your own magnificence and capabilities. It is important to treat yourselves with greater kindness within your thought processes and remember that all that you have experienced in your life is what your soul desired to partake of in order to bring you to a greater sense of mastery. This is now where you stand on your journey. Celebrate this accomplishment by rewarding yourselves with some action or item of significance to you. Let it be something that brings you great joy and helps you to remember how far you have come on your path of initiation into higher consciousness and understanding. And we ask that you celebrate the moments as they unfold for you, for it helps to keep your frequency level in tune with the ever increasing energies that flow through the atmosphere to flood the planet without ceasing. Connect each day to the Earth and stay grounded. Eat foods that impart the higher frequencies into every cell in your ever transforming bodies. Affirm each day that you are an eternal powerful being who can stop the process of aging and renew yourselves on every level. Thoughts and intention are the things that bring the reality into your experience. Write your intentions down and repeat them every day, ideally at the beginning of your day but what is most important is your consistent persistence. You are creating your new reality by this practice and every day is a new fresh start. Fill it with the most positive and benevolent intentions for yourselves, your loved ones, your community and your entire planet. Love is the answer in all situations and this is becoming more noticeable in your personal world. GETTING TO KNOW JESUS AS A WAYSHOWER! In the early 2000s, I wrote a series of lessons to help Christians, and others who choose to use Jesus as an example of an individual demonstrating the Christ Consciousness, to get to know Him as a Wayshower. It is for this reason that I am re-posting this series of lessons … one lesson a day for the coming 10 to 12 days. Earth humans enter this glorious stage of transition into the New Aquarian (Golden) Age having had a vast variety of religious and spiritual experiences. Many left the traditional church disillusioned, even angry, and want nothing more to do with the Bible or Jesus. On the other hand, many have never studied the Bible and know little about Jesus. More recently, many have had their worldview shattered with news of the many frauds and cover-ups perpetrated on Americans and the world. Can knowledge of the Bible and Jesus, as a Wayshower, make a difference at this critical time in Earth humans’ spiritual evolution? For most of us, attempting to live life without a Wayshower and a sacred text is like the man, in one of Jesus’ parables, who built his house on the sand. When the winds blew and the floods came, the house crumbled (Matthew 7:26-27). A strong foundation on which to build our lives is essential as we move into the New Aquarian (Golden) Age. We must learn to integrate Truth into our lifestyles so that it permeates our thoughts, feelings, and actions under all circumstances and in all places. One very effective way to do so is to allow Jesus to be our Wayshower and the Bible to be our sacred text. By studying the life and teachings of Jesus, we have an example to follow. Jesus reminded his disciples, “I have overcome the world.” We can follow his example in overcoming the negative influences of the world. By studying metaphysically the biblical characters and their life stories, we glean knowledge as to how to live our lives in relationship to God and all of creation, including the Ascended Masters and Galactic Federation of Light. The huge shift required is to study the inner meaning of this sacred text. We must view Jesus in a different light; we can no longer worship Him as the Savior who does everything for us. We must allow the Holy Spirit to teach us; we must be open to hear new teachings; we must be willing to step outside the box labeled Christianity. Many persons who leave the church embark on the grand, and often confusing, adventure of studying metaphysics through diverse avenues. In my own experience, I left the traditional church and studied a variety of metaphysical subjects, seeking the answers to my questions about life. After several years, I returned to the Bible. Reading it—through the lens of my metaphysical knowledge—I was amazed to find the same information contained within the Bible. That is when I realized anew that the Bible, as a sacred text, and Jesus, as a Wayshower, could be the building blocks for a strong foundation on which to base my life. Does this mean that we are to limit our search for Truth to Jesus and the Bible? No. As we explore a multiplicity of avenues, then return to the Bible, its true richness becomes evident. In a world that is being turned upside down and inside out, we need reliable benchmarks in order to maintain our centeredness. We need to listen to the words of Jesus, as he encourages us to “come unto me, all you who are tired and carrying burdens, and I will give you rest.” We need to hear the words of Jesus, “I can do nothing on my own” and know that we, too, need the guidance and assistance of higher beings. Studying the Bible and the life and teachings of Jesus offers us benchmarks for separating Truth from illusion or falsehood. The importance of the art of discernment is daily increasing. In this period—2005-2012—we are living in an age that parallels the time of Jesus’ physical incarnation on Earth. Jesus incarnated approximately 2000 years ago, at the beginning of the New Piscean Age. He came to prepare us for the present transition into the New Aquarian Age. A study of the New Testament and church history will reveal the turmoil that occurs as the world undergoes the tremendous shift in consciousness required by the arrival of a New Age. 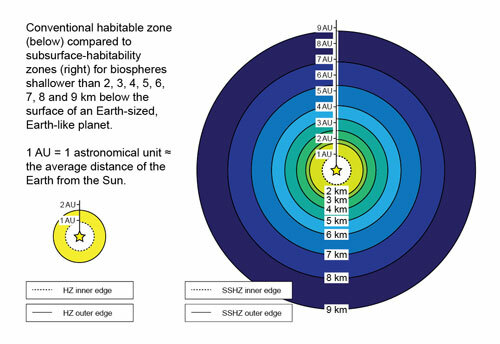 (The linear Earth time measurement for “an Age” is roughly 2000 years) The entrenched religious authorities fight new ideas; they resist having their followers turn to a new leader. As we see in the New Testament, the resistance can get ugly. At the beginning of the Piscean Age, those presenting new ideas were imprisoned, crucified, stoned to death, torn apart by lions, and burned at the stake. Their heretical writings (meaning those that differed from traditional church doctrines) were burned. We live in such times. The New Aquarian Age is to involve a total restructuring of our planetary society and government. The foundation of fear, on which most world religions are presently manifesting, will be exposed. The fear of allowing the search for Truth to be ever-expanding will be revealed for what it really is—an attempt to control and imprison persons within the familiar structures. We are presently witnessing the Battle of Armageddon on a worldwide scale. The forces of darkness battle the forces of Light. The ability to discern darkness from Light is imperative. At the same time, it is equally important to be open to an ever-expanding awareness of Truth. How do we achieve this balance? How do we discern Truth from non-truth? … darkness from Light? Jesus taught: “You will know them by their fruits…. Every good tree bears good fruits; but a bad tree bears bad fruit.” Truth, when integrated into our lives, bears good fruit. Even though illusions and non-truth can be extremely subtle and difficult to detect with our five physical senses, we can practice discernment by listening to our intuition—to that still, small voice of God within each of us. Ask: does this person or teaching conform to the qualities of Jesus? Remember that Jesus taught: “The one who believes in me will also do the works that I do and, in fact, will do greater works than these, because I am going to the Father” (John 14:12). Ask: does this person or teaching conform to the metaphysical teachings of the Bible? Does this person or teaching bring inner peace, compassion, joy, and overall permanent enhancement into my life? Does this person or teaching offer me the opportunity to serve better myself and others? If the answer is “yes,” you have discovered Truth for yourself. With this process of discernment in mind, I would like to present a Truth that has been stifled and forgotten for thousands of years: there exists a hierarchy of spiritual beings who assist humanity and our planet Earth. A reading of the Old and New Testaments makes this fact evident. Throughout the Bible, Earth humans, spirit beings, and God are in conscious communication with each other. Ages ago, these beings of spirit were visible to Earth humans. They walked the Earth and talked with humanity as you and I talk to each other. The Old Testament is the story of our struggles to maintain this connection. Sadly, we lost the struggle. Earth humans, as a whole, became so engrossed in the material plane and our own self-centered desires that we lost the capacity to see and hear our spiritual helpers. Only a few individuals managed to retain what we today call clairvoyance (the ability to see into spiritual realms) and clairaudience (the capacity to hear communications from the realms of spirit). With the present transition, we will all learn to communicate with the Ascended Masters and Galactic Federation. They will be visible to us. Some Earth humans possess the capacity to channel communications from the realms of spirit. It is up to each of us to discern for ourselves whether or not the abundance of channeled material now available to us reveals ever-expanding Truth. It is foolish to ignore all channeled material because we are afraid to discern for ourselves. The ability to discern Truth is an essential ingredient in spiritual maturity. Fear has no place in the spiritually awakened consciousness. Once more, let us consider our benchmarks. Do we find channeled material in the Bible? Yes. Did Jesus engage in channeling? Yes. The Old Testament prophets began their messages to the Israelites with the words: “Thus says the Lord.” Their messages were channeled from “the Lord.” Moses channeled the Ten Commandments while on the mountaintop. Joseph channeled the interpretation of the Egyptian Pharoah’s dreams. Channeling continues in the New Testament. Jesus repeatedly told his disciples: “I did not speak of myself; but the Father who sent me, he commanded me what to say and what to speak” (John 12:49). Jesus channeled the Father’s words. What did Jesus teach us regarding channeling? Listen to his words: “I declare what I have seen in the Father’s presence; as for you, you should do what you have heard from the Father” (John 8:38). Again the words of Jesus: “The Comforter, the Holy Spirit, whom my Father will send in my name, he will teach you everything, and remind you of everything that I have said to you” (John 14:26). As we listen to the Holy Spirit’s teachings and share them, we are channeling. What we call “an inspired message” by a speaker is a channeled message—Spirit speaks to us via another human being. Does Jesus use channeling as a means of speaking to Earth humans? In Revelation 1:1-2, we find that Jesus revealed the prophecies found therein by sending an angel to John. The angel dictated to John the book of Revelation. Revelation is channeled information. Thus, the Bible and Jesus verify and exhibit the process of channeling information to Earth humans from the realms of spirit. Today, much of the channeled information reveals the presence of spirit guides, Ascended Masters, angels, Archangels, and galactic beings who seek out Earth humans possessing the capacity to channel their teachings or messages. These spirit beings regularly work with Earth humans while we sleep. During our sleep, we journey to Temples and Retreat Centers located on Earth’s etheric plane to receive healing, encouragement, teaching, and transmutation of negativity within our energy fields. In the past, these Temples and Retreat Centers were located on the physical plane. However, as Earth humans chose darkness over Light, these glorious structures had to be lifted to the higher vibrations of Earth’s etheric plane. The next stage of spiritual evolution for us, as Earth humans, is to become fully conscious Ascended Masters. Many Ascended Masters choose to continue their spiritual evolution by serving humanity from the realms of spirit. Those who do so are often affiliated with the etheric Temples and Retreats to which we journey during sleep. These Ascended Masters would like for us to communicate and work cooperatively with them on a conscious level. We can learn to do so by deliberately requesting, during meditation, to journey to one of the Temples or Retreats. We can also call to an Ascended Master in order to seek guidance and encouragement. Jesus, Mary of Magdala (now Nada), and Mary, the mother of Jesus are Ascended Masters who work closely with humanity. St. Francis of Assisi is now Ascended Master Kuthumi. Joseph, the Earth plane father of Jesus, is now St. Germain and the Ascended Master heading the New Aquarian Age. Charles Fillmore, the founder of Unity School of Christianity, knew himself to be a reincarnation of the Apostle Paul. 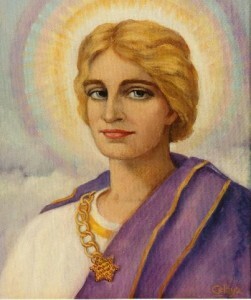 The Apostle Paul is now the Ascended Master Hilarion. Does the Bible and Jesus—as our benchmarks—uphold this channeled information concerning the presence of Ascended Masters? Think back to the time of Jesus’ Transfiguration. Three of his disciples—Peter, James, and John—watched as Jesus went into meditation and conversed with Moses and Elijah, then and now Ascended Masters serving Earth humans. Jesus talked with Moses and Elijah just as we can learn to consciously discuss, with the Ascended Masters, the divine plan for our lives. Why have a Wayshower and Sacred Text? Does the Bible contain verification of ever-expanding Truth? Probably… hidden within the layers of symbolic language and inner meaning. However, its value to us, as a benchmark for discerning Truth, is not dependent upon every portion of Truth being present therein. Instead, the Bible and the life of Jesus reveal basic truths that allow us to intuit for ourselves the truthfulness of whatever we read and hear. Both offer a firm foundation upon which to seek and determine our own concept of Truth. As we do so, we grow in conscious awareness and spiritual maturity. With the Bible as a sacred text and Jesus as a Wayshower, we are destined to progress on our spiritual journey and to consciously communicate with the Ascended Masters and our galactic family while we reside on Earth and evolve into galactic humans. The lesson series entitled “If Jesus Is A Wayshower, What Did He Show Us?” is offered as one means to assist you on the next stage of your spiritual journey. Wherever we are, God is! And all is well. Go forth into the world, knowing that you are loved unconditionally and always permeated with the Light of God. Amen.